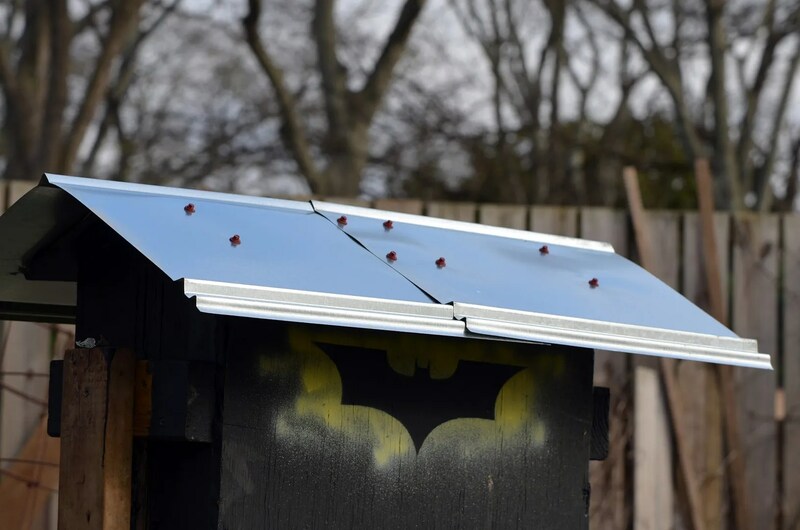 Well, technically not bats, but my bat house has been repaired and is parked, ready to be raised again. It sports a shiny new roof as the last of my “vintage” rusted roofing was used in the open shed’s repair last year. I still have to finish building out the replacement posts (wood this time). It may not be done by summer but one never knows. 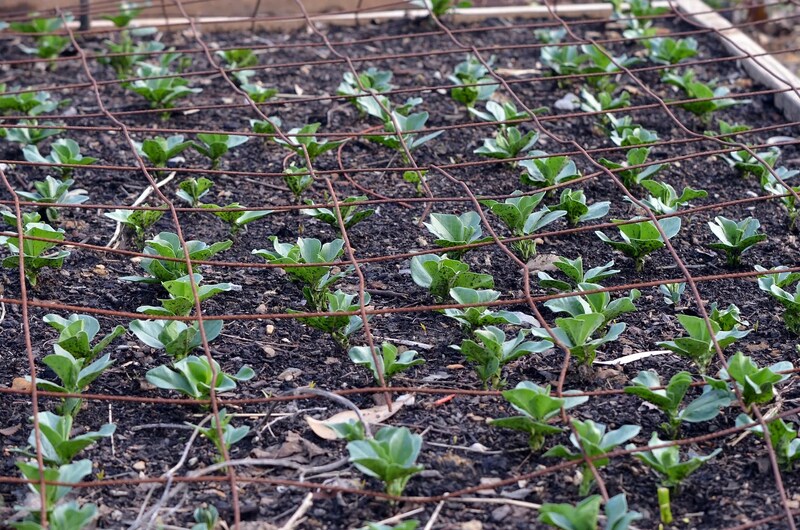 Adjacent to the parked bathouse, this spring’s fava experiment is coming along nicely. The seed was saved from last year’s crop; I’ve read that fava seed germination rates drop off quickly so I was concerned that these were duds when they didn’t germinate for almost three weeks. Eventually almost all sprouted and are currently looking good under their temporary concrete wire cat/squirrel deterrent. Posting has been light lately as I’m neck deep in the first true “cleaning & polishing” of this almost five year old garden project. Why now? In approximately five weeks, this oddity will be part of a charitable garden tour, the freakshow hiding among the other more traditional gardens on the tour. And yes, May 3rd seemed so far away when I was asked to consider this back in December.